Food & Beverage | Greater Fort Wayne Inc.
From milk to chocolate, brewing to packaging, Allen County’s agricultural economy is booming. Indiana is a top-five state for corn, soybean, and ice cream production. Fortune 500 companies, including Nestle and Walmart, choose Fort Wayne. 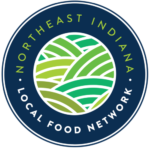 Allen County offers the Food & Beverage industry customer access through our extensive transportation network, proximity to the nation’s largest markets, competitive incentives, and affordable site options. This cluster is inclusive of food and beverage producers, packaging, machinery manufacturing, and ag-innovation. Our branch campus and county extension office provide connections to the expertise at Purdue University, which is ranked #8 globally for agriculture and in the top 10 nationally for numerous engineering specialties. Typical pre-treatment cost reduction for industrial users through Fort Wayne City Utilities. Excess water treatment capacity. Fort Wayne has invested in infrastructure for growth.